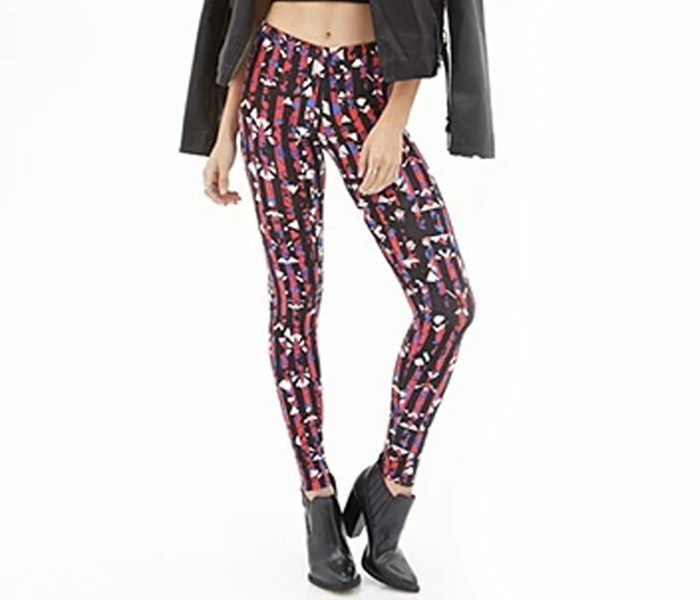 The Multi Print leggings sport vertical stripes in red and black that is sprinkled with a dash of asymmetrical prints through the stretch of the fabric. This option has been designed with a mid rise and length that lands smoothly on the ankles. This super trendy number can be teamed with a variety of top wear options to create looks ranging from pure grunge to city chic.